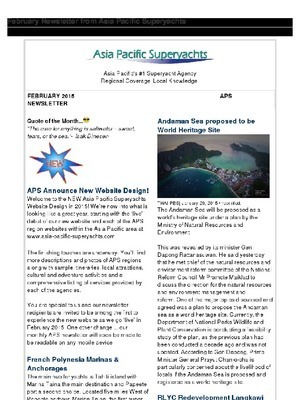 We hate spam as much as you do! 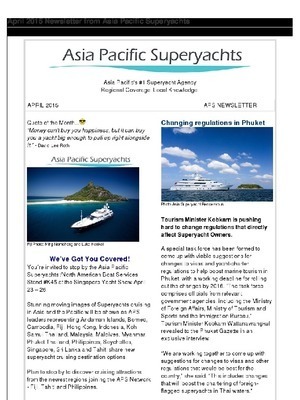 Your email is never shared with other parties and we always provide an instant unsubscribe option to ensure you can unsubscribe whenever you want. 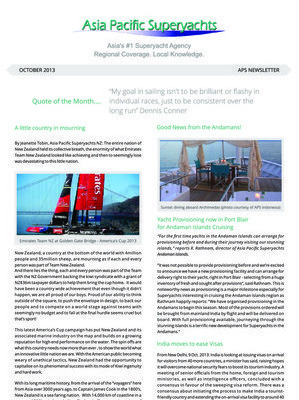 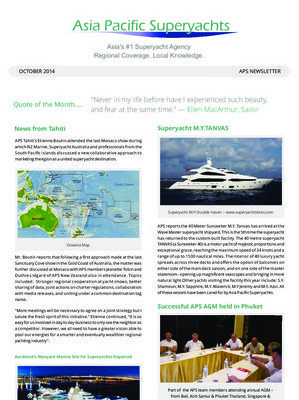 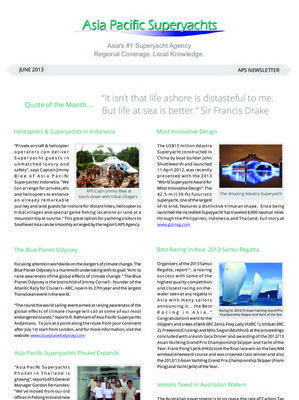 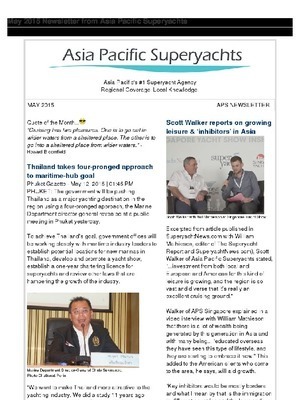 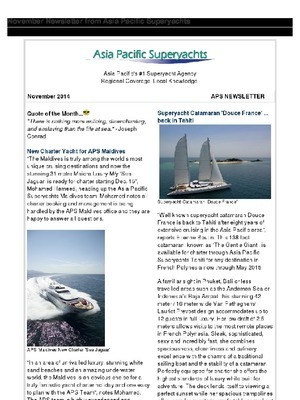 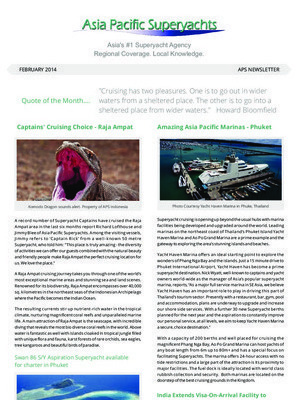 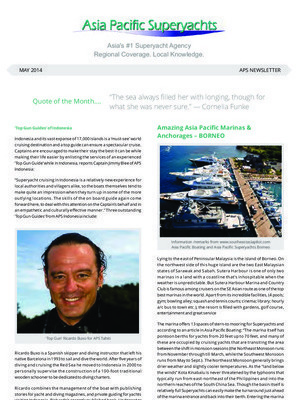 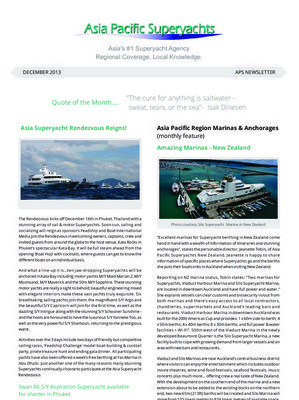 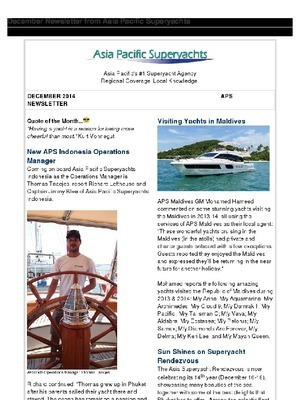 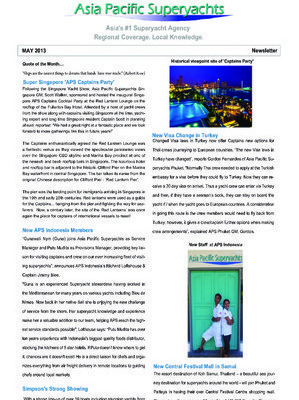 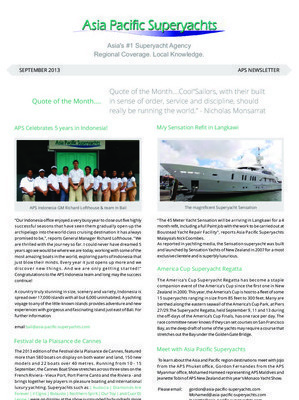 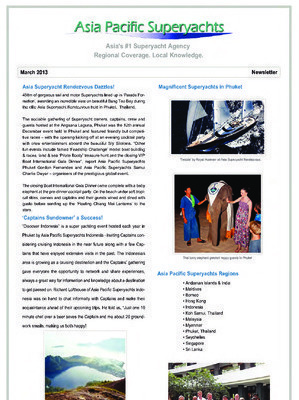 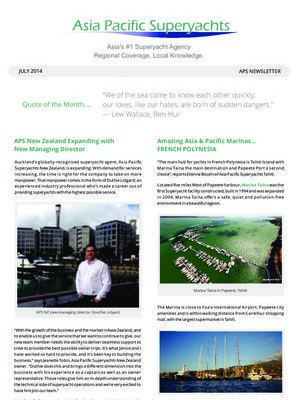 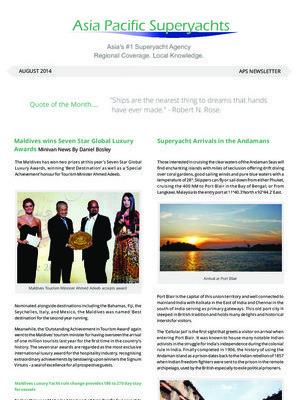 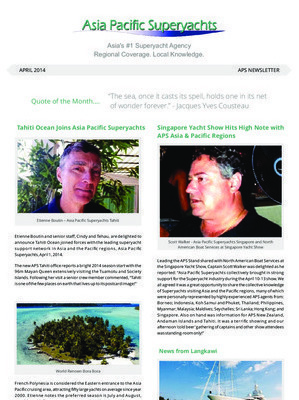 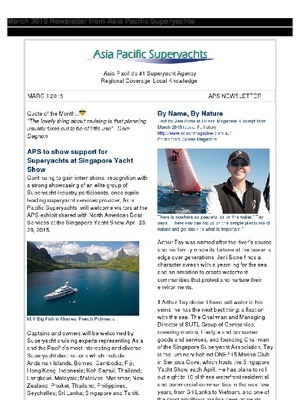 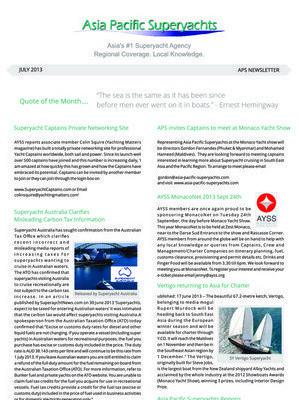 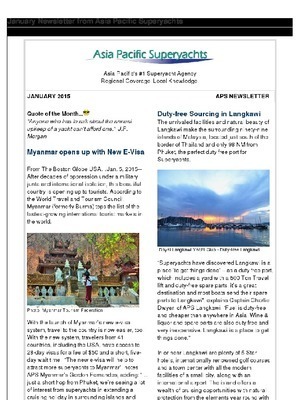 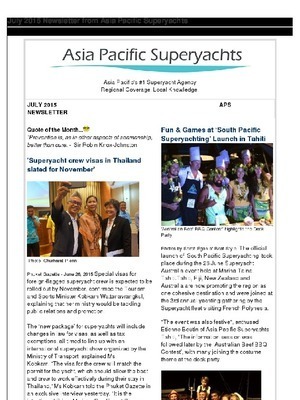 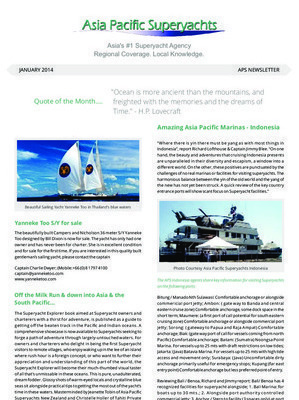 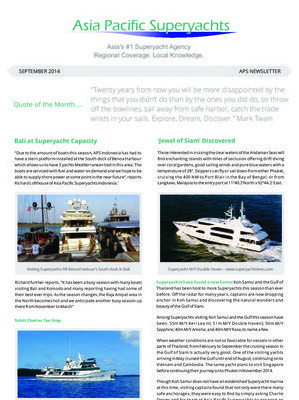 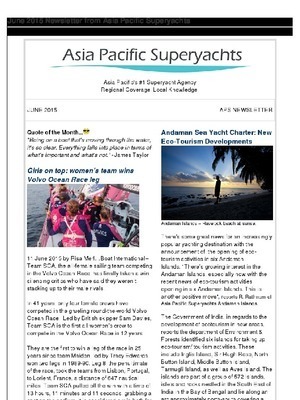 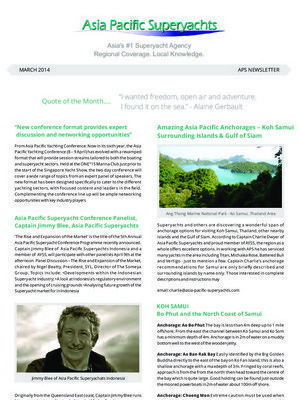 Each Newsletter includes news from among Asia Pacific Superyachts 17 regions, information from new releases and destination features and announcements from the superyacht industry and visiting yachts.